Hi everyone! 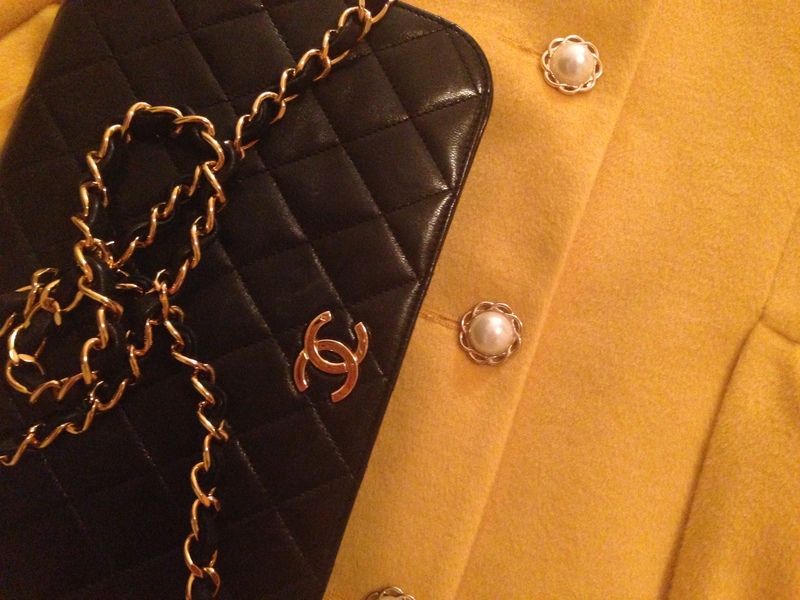 Today I’d like to show you my new yellow coat. While all additions to a wardrobe are generally pretty exciting, this piece is extra special since it is custom made. A few weeks ago my friend visited Hong Kong and, appreciating my love for clothes, she asked if I’d like any clothes made. I certainly couldn’t let that sort of opportunity pass me by, it felt like a dream come true (almost like being a fashion designer for a day). There have been many pieces I’ve searched for in the shops for a number of years but have never been able to find so I used this as a starting point. The most notable piece in this category was certainly a yellow coat (you may remember my post here where I wrote about narrowly missing out on a yellow Alannah Hill coat in the sales). In total I had five pieces made (three dresses, a coat and a skirt). I wanted to get hundred of clothes made but I didn’t want to go too crazy since my friend was already going to so much effort on my behalf. I also got all the dresses made in the same pattern for a similar reason (but I think they look different enough being in contrasting materials). The process involved selecting one of my existing dresses (for example), then I purchased material and asked for a dress in the exact same design. If I ever end up visiting Hong Kong, it could be dangerous in terms of the amount of clothes I’d want to get made. While I was certainly looking forward to receiving all my new clothes I didn’t imagine them to quite as spectacular as they turned out to be. It was so fun seeing my ideas come to life. The part that impresses me the most is the extent to which each piece resembles the item it was modeled from. I have no idea how they get it so accurate but each piece is absolutely identical. 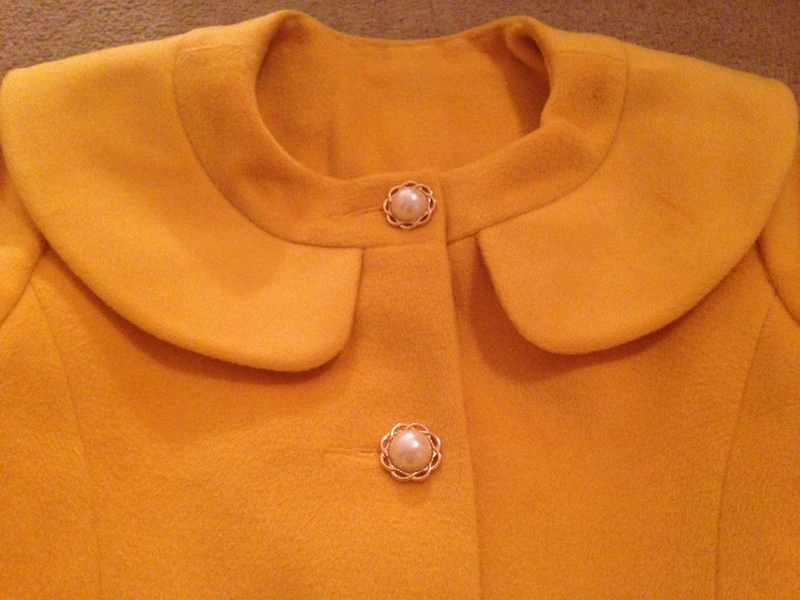 This coat isn’t exactly the most simplistic design with the gathered waist and the beautiful collar. I can’t even explain how impressed I am by those skills. 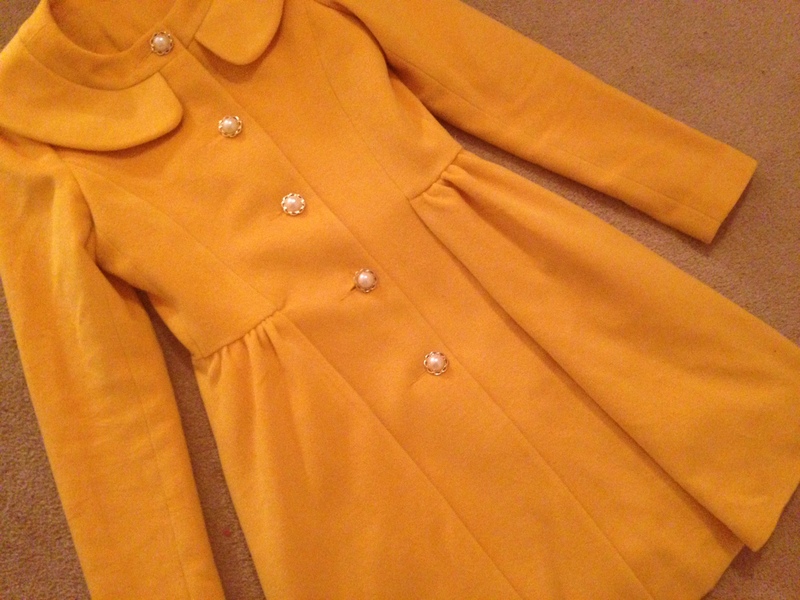 My new yellow coat was modeled on my Alannah Hill ‘Secret of Secrets Coat‘ which I posted here. I must say I like the yellow version much more. 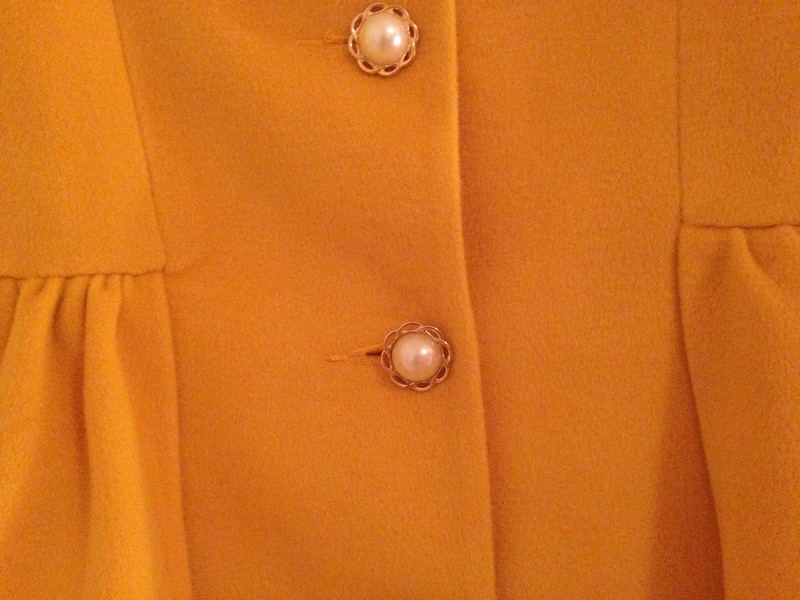 My friend selected the pretty pearl buttons which are perfect. I couldn’t possibly be happier with my new coat. It is one of the stand out pieces in my wardrobe. Soon I will show you the other clothes I had custom made. This entry was posted in Custom Made. Bookmark the permalink. That coat is so stylish and beautiful! ❤ Would you like to follow each other? I love the color of the coat, very shocking!!! I absolutely adore that coat!! It's so stylish! What a beautiful coat! I think the pretty buttons give it that extra touch. Your lucky to have such kind and considerate friends! Love this coat: the color, the shape, the neckline, all so perfect! And it must fit like a glove, What a great idea! Tia, it is gorgeous! I love the color, style and buttons. Adorable. It's really a stand out piece. Love the details and col our of this coat. Lucky you! Gorgeous color and piece and those buttons…awesome look.